In public policy advocacy, there is power in numbers. We advocate collectively on behalf of our members to present a unified message on behalf of the business community to state and federal legislators. One unified voice representing nearly 1,200 businesses has more weight than a singular voice. As an organization focused on economic growth, there are some concepts we will always advocate for, like addressing workforce challenges, supporting businesses and enhancing our community. It’s from those concepts that we develop annual federal and state public policy agendas, specific action items and policies we hope to see come to fruition. When creating our public policy agendas, we coordinate with like-minded, business-friendly organizations across the state that also do public policy advocacy, like the Iowa Association of Business and Industry and the Iowa Chamber Alliance, to ensure our messages align. Another such organization is the Iowa City Area Chamber of Commerce, an organization we partner with in countless other ways beyond public policy advocacy. The Economic Alliance and the Chamber of Commerce serve similar missions for our respective business communities, so it makes sense that our yearly public policy agendas are similar too. This year, for the first time in a very long time, the Economic Alliance and the Chamber of Commerce have worked together to create identical state and federal public policy agendas to advocate as one to our regional policy makers. 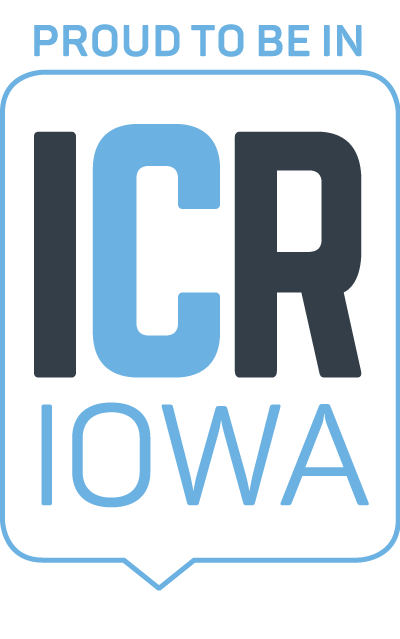 To mark the collaboration, the Economic Alliance the and Iowa City Area Chamber of Commerce will hold the ICR Legislative Launch on Thursday, December 13 from 5-7:00 p.m. at Cedar Ridge Winery. We’ll officially unveil the public policy agendas, with a short program beginning at 5:30 p.m. Attendees will have the opportunity to speak directly with policy makers that represent cities and countries in our ICR Iowa region before new sessions begin in January. This event is for members of the Cedar Rapids Metro Economic Alliance and the Iowa City Area Chamber of Commerce. To register, click here.